A critical factor in implementing microalgal biofuels for mass production is the nutrient requirements. 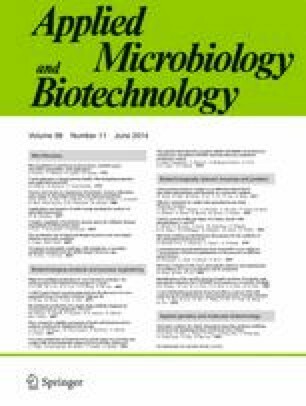 The current study investigated the fate of macro- and micronutrients and their availability in a sequential phototrophic-heterotrophic production process for the lipid rich microalga Auxenochlorella protothecoides. More than 99 % (by weight) of overall process nutrients were supplied during the initial photoautotrophic stage reflecting its significantly larger volume. Under photoautotrophic growth conditions only 9–35 % of supplied Mn, S, Fe, N, Mg, and Cu and less than 5 % of P, Mo, Co, B, Zn, and Ca were consumed by the algae. The rest of these nutrients remain in the spent growth media during the culture concentration-down from an 800 L phototrophic pond to a 5 L heterotrophic fermenter. In contrast, Zn, Mo, Mn, Mg, Ca, and N were exhausted (90–99 % removal) during the first 25 h of the heterotrophic growth stage. The depletion of these key nutrients may have ultimately limited the final biomass density and/or lipid productivity achieved. Approximately 10–20 % of the total supplied S, Mn, Fe, N, and Cu and 5 % of Ca and Zn were assimilated into algal biomass. Several elements including N, P, Mn, B, Cu, Ca, Mg, S, and Fe were released back into the liquid phase by anaerobic digestion (AD) of the residual biomass after lipid extraction. The nutrients recovered from the AD effluent and remaining in the spent medium should be recycled or their initial concentration to the phototrophic stage decreased to enhance process economics and sustainability for future commercialization of algal-derived biofuels. The online version of this article (doi: 10.1007/s00253-014-5655-1) contains supplementary material, which is available to authorized users. The authors gratefully acknowledge financial support from U.S. DOE CCS Program (Grant No. DE-FE0001888 to Phycal), U.S. NSF CBET Program (Grant No.1236691 to JHU), and the Bureau of Education and Cultural Affairs of U.S. Department of State through an International Fulbright Science and Technology Award to Pavlo Bohutskyi.